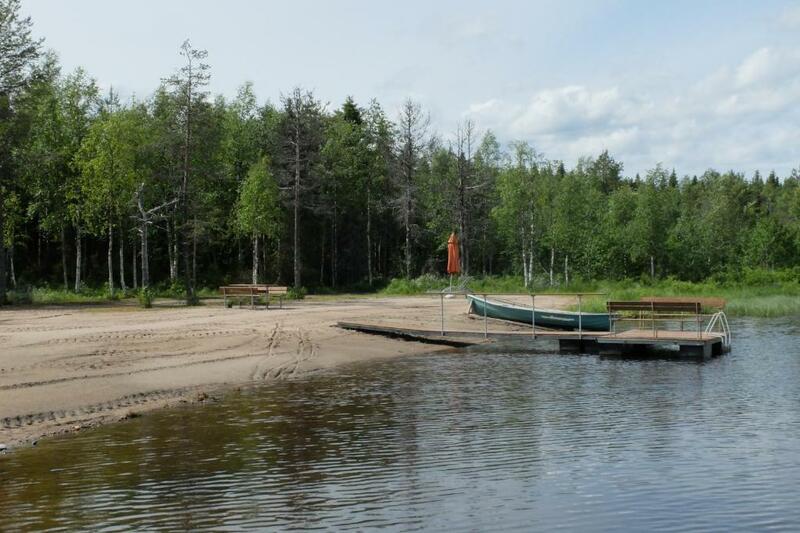 Rukajärven Lomamajat Villa, a property with ski-to-door access and a private beach area, is located in Ruka, 2.1 miles from MastonAitio. This property has a terrace. The villa has 2 bedrooms, a flat-screen TV and a fully equipped kitchen that provides guests with a dishwasher. 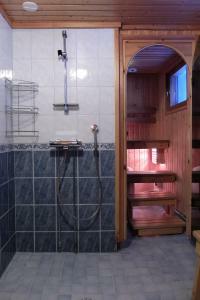 Guests can use the sauna. A grill is available for guests to use at the villa. Masto 1 is 2.1 miles from Rukajärven Lomamajat Villa. 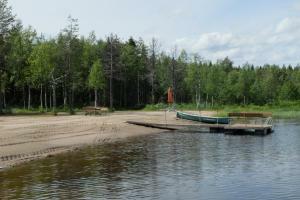 The nearest airport is Kuusamo Airport, 15 miles from the accommodation. When would you like to stay at Rukajärven Lomamajat Villa? This villa has a dining area, fireplace and oven. House Rules Rukajärven Lomamajat Villa takes special requests – add in the next step! Please inform Rukajärven Lomamajat Villa of your expected arrival time in advance. You can use the Special Requests box when booking, or contact the property directly using the contact details in your confirmation. Please note that check-in and key collection take place at: Rukajärventie 60, Rukatunturi 93830. We need at least 5 reviews before we can calculate a review score. If you book and review your stay, you can help Rukajärven Lomamajat Villa meet this goal.